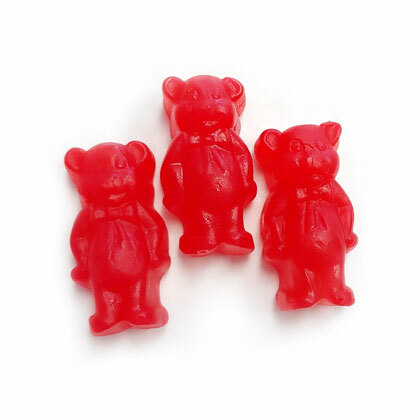 Spicy cinnamon bears. Being a little firmer than typical gummi candy, you really get to enjoy the spicy hot cinnamon flavor. These are Ferrara's replacement of the Cinnamon Red Hot Dollar. Approx. 1.5 inches tall and 3.5 pieces per ounce. 12 oz. Made in the USA.